Location | Chatham NJ Attorney | Paul Wigg-Maxwell, Esq. The firm of Paul D. Wigg-Maxwell, Attorney, serves the New Jersey/New York Metro Area including, Morris, Union, Essex, Somerset and Hunterdon Counties in New Jersey and in New York, Manhattan and the other boroughs of New York City. 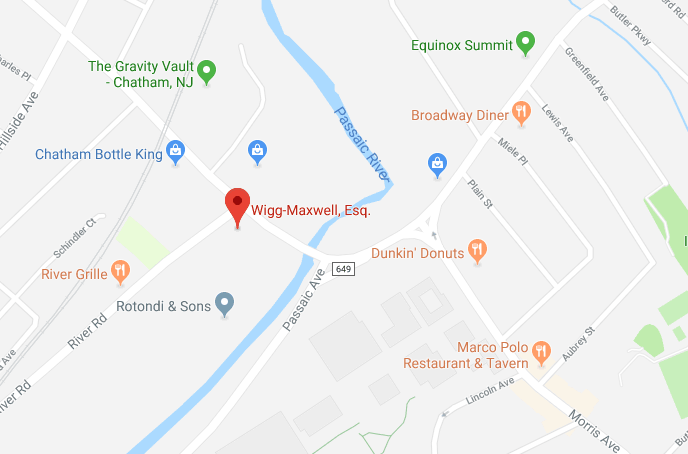 Located at the border of Chatham and Summit, the offices of Paul D. Wigg-Maxwell are a short distance from the towns of New Providence, Millburn, Livingston, Florham Park, Madison, Berkeley Heights, Morristown, Gillette, Maplewood and Warren – New Jersey.